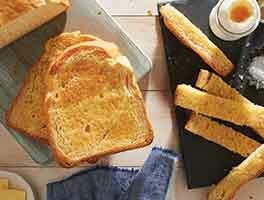 Tired of your gluten free bread failing in your bread machine? 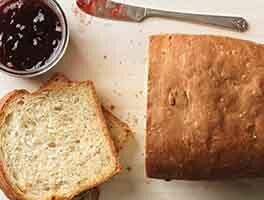 Are you ready for a soft, healthy loaf of gluten free bread that only involves one pan? The Zojirushi Virtuoso is here with an exclusive setting for your favorite gluten-free recipes. 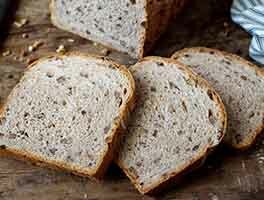 Enjoy this bread, studded with nutritious flax seeds, as an accompaniment to your usual sandwich toppings; or simply toasted and dressed with creamy butter. 60 mins. to 60 mins. 2 hrs 45 mins. to 2 hrs 45 mins. Place all the liquid ingredients (milk, eggs, vinegar, oil, and honey) into the bucket of your Zojirushi Virtuoso. Place all the dry ingredients on top; there's no need to stir. 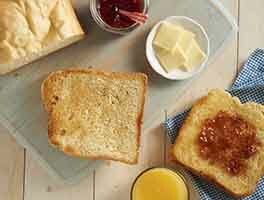 Choose the gluten-free setting on the machine, and the desired crust setting; press start. 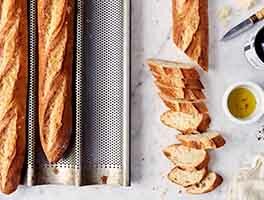 When the cycle is finished and the bread is done, turn it out of the pan onto a rack to cool.